Naturally, the majority of us would prefer to hunt around and find a game for the best price before committing. How many times have you gone ahead and bought a game at the full price and found it for more than half the price cheaper elsewhere the next day? It's a frustrating, 'kicking yourself' type feeling, especially for those of us on a tight budget. 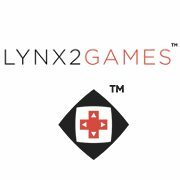 This is where Lynx2Games, a relatively new game trading/purchasing service, steps in. 2. Three week rental: Rent brand new games for a 1/3 of the price. 3. Delayed buy: Pay 2/3 of the price, wait three weeks, then keep the game forever. Not all stores give you the option to rent a game bang on the release date, especially smaller game stores, and some others have limited amounts of discs for rental on release, which can be disappointing if you decide to impulse rent later on that day. The great thing about this service is that the disappointment and huge charges are both pretty irrelevant. Teaming up with a friend and using their 'Buddy Buying Service' allows you to split the cost even further by sharing a game between the two of you. Currently available to US residents only, the kind folks at Lynx2Games have are offering a 10% discount to readers of 8-Bit Girl to use on their first game purchase. At the checkout, type in 10OFFPROMO to qualify for your discount!